History is at the heart of Williamsburg, from the restored 18th-century town that was the capital of pre-Revolutionary Virginia to the country’s second-oldest college. 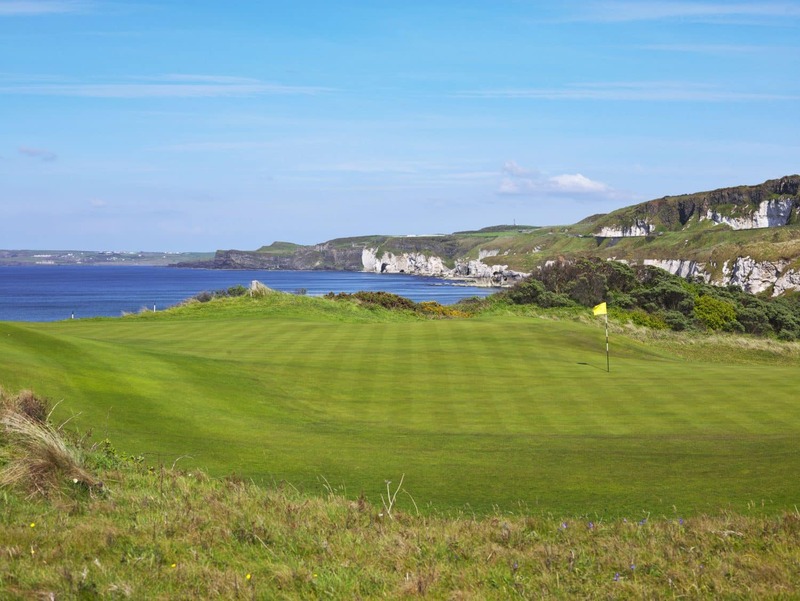 The history even extends to the golf—the area is home to one of the first island greens. But there’s far more to Williamsburg than the past: Lodging options like the newly renovated Williamsburg Lodge and the full-service Kingsmill Resort & Spa provide plenty of modern amenities for the amateur historian and golfer alike. Centrally located along the eastern seaboard at the mouth of the Chesapeake Bay, Williamsburg continues to attract visitors—just as it did 400 years ago, when it was a New World destination. 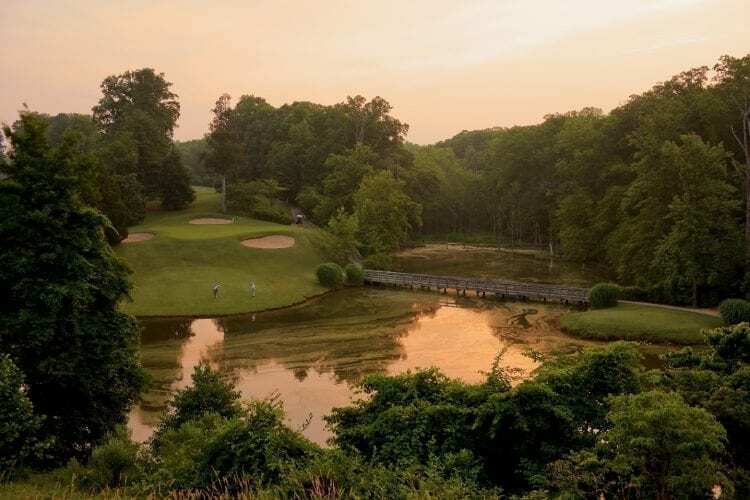 Robert Trent Jones Sr. referred to his tight, testy Gold Course at Golden Horseshoe Golf Club as “my finest design.” All four par 3s play over water, including the 169-yard 16th, one of golf’s first island greens. The Blackheath Course at Ford’s Colony took a cue from Jones with an island-green 18th. Highlighted by the par-3 17th hole alongside the James River, the Pete Dye-designed River Course at Kingsmill Resort & Spa received a 2004 makeover and hosts the LPGA Tour’s Michelob Ultra Open. Halfway to Richmond is The Tradition Golf Club at Royal New Kent, one of the state’s best public tracks. Don’t miss The Dining Room at Ford’s Colony, the only country-club restaurant ever to earn AAA’s Five Diamond rating—and it’s done so eight years running. In the Historic Area, try the pan-fried stuffed rainbow trout at Christiana Campbell’s Tavern, a favorite meeting place of George Washington’s. Hearty postround appetites are also satisfied at The King’s Arms, an 18th century-style chop house. The Williamsburg Lodge and Williamsburg Inn are the choicest spots in the area. The former, built by John D. Rockefeller in 1939, is adding 130 guest rooms. The English Regency-style Inn offers a more intimate setting, with 62 rooms and suites. A 25,000-square-foot luxury spa opens in September. Lodging at Kingsmill consists of 420 one-, two- and three-bedroom suites. Colonial Williamsburg contains 88 original buildings and more than 500 reconstructed homes, government buildings, shops and taverns. Nearby is Historic Jamestowne, the site of America’s first permanent colony, settled in 1607. Merchant Square is a brick-lined shopping district with more than 40 shops and restaurants. Only Harvard can boast a longer history than The College of William and Mary, founded in 1693. The highlight of the Historic Campus is the Sir Christopher Wren Building, named for the renowned English architect.